Jasper "Al" Cini was born in Philadelphia, Pennsylvania. The name Jasper was an anglicisation of his father's name, Gasparino. His parents were immigrants from Abruzzo, Italy, who ran a construction business, and while growing up, he worked alongside his brothers, Pasquale and Frank as a bricklayer. He aspired to become a singer, emulating artists such as Al Jolson and Perry Como, and by the success of a family friend, Alfredo Cocozza, who had changed his name to Mario Lanza. After serving with the United States Navy in World War II, during which he was part of, and injured in, the Iwo Jima invasion, Cini began his singing career. Encouraged by Lanza, he adopted the stage name Al Martino—based on the name of his good friend Lorraine Cianfrani's (née Losavio) husband Alfred Martin Cianfrani—and began singing in local nightclubs. In 1948, he moved to New York City, recorded some sides for the Jubilee label, and in 1952, won first place on Arthur Godfrey's Talent Scouts television program with a performance of Como's hit "If". As a result, he won a recording contract with the Philadelphia-based independent record label BBS, where he recorded "Here in My Heart". Lanza's label RCA Victor had asked him to record the song, but Martino called and pleaded with him to let Martino's version have a clear run. The song spent three weeks at No. 1 on the US pop charts in June 1952, earning Martino a gold disc, and later in the year, also reached the top of the UK charts. It was number one in the first UK Singles chart, published by the New Musical Express on November 14, 1952, putting him into the Guinness Book of World Records. "Here in My Heart" remained in the top position for nine weeks in the UK, a record for the longest consecutive run at number one, that has only since been beaten by five other songs. The record's success led to a deal with Capitol Records, and he released three more singles: "Take My Heart", "Rachel", and "When You're Mine" through 1953, all of which hit the U.S. top 40. However, his success also attracted the attention of the Mafia, which bought out Martino's management contract and ordered him to pay $75,000 as a safeguard for their investment. After making a down-payment to appease them, he moved to Britain. His popularity allowed him to continue to perform and record successfully in the UK, headlining at the London Palladium and having six further British chart hits in the period up to 1955, including "Now" and "Wanted". However, his work received no exposure back in the US. In 1958, thanks to the intervention of a family friend, Martino was allowed to return to the U.S. and resume his recording career, but he faced difficulties in re-establishing himself, especially with the arrival of rock and roll. In 1959, Martino signed with 20th Fox Records; his deal scored him two albums, and four singles released, none of which was a major hit. 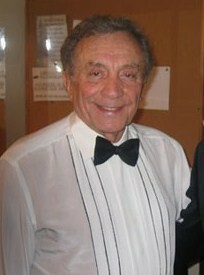 The success of his 1962 album The Exciting Voice of Al Martino secured him a new contract with Capitol, and was followed by a mostly Italian-language album, The Italian Voice of Al Martino, which featured his version of the then internationally popular song "Al Di Là". He also made several high-profile television appearances, helping to re-establish his visibility. In 1963, he had his biggest U.S. chart success with "I Love You Because", a cover of Leon Payne's 1950 country music hit. Arranged by Belford Hendricks, Martino's version went to number three on the U.S. Billboard Hot 100 chart, and number one on the Easy Listening chart. The album of the same name went top 10 in the Billboard 200. Martino had four other U.S. top 10 hits in 1963 and 1964 - "Painted, Tainted Rose" (1963), "I Love You More and More Every Day", "Tears and Roses", and "Silver Bells" (all 1964). He also sang the title song for the 1964 film, Hush, Hush, Sweet Charlotte. One of his biggest hits was "Spanish Eyes", achieving several gold and platinum discs for sales. Recorded in 1965, the song reached number five on the UK Singles chart when reissued in 1973. The song, with a tune by Bert Kaempfert originally titled "Moon Over Naples", is among the 50 most-played songs worldwide. Martino's run of chart success faded after the mid-1960s, although many of his records continued to reach the U.S. Hot 100. Another later hit was a disco version of "Volare", (also known as "Nel blu, Dipinto di Blu"). In 1976, it reached number one on the Italian and Flemish charts, and was in the top 10 in Spain, the Netherlands, and France, as well as in many other European countries. In 1993, Martino recorded a new studio album with German producer Dieter Bohlen (former member of pop duo Modern Talking, producer of international artists such as Chris Norman of Smokie, Bonnie Tyler, Dionne Warwick, Engelbert or Errol Brown of Hot Chocolate). The single "Spanish Ballerina" (written in Bohlen's europop sound) reached number 93 in the German single charts. Martino was married first to Jenny Furini; then to Gwendolyn Wenzel; and, finally, to Judi Martino, to whom he was married at the time of his death. He had four children: Debbie Martino, Alison Martino, Alfred Cini, and Alana Cini. Daughter Alison Martino is a writer and television producer of such programs as Mysteries and Scandals and Headliners and Legends. She also writes for Los Angeles. She is an amateur historian, who launched the organization Vintage Los Angeles in 2010. Vintage Los Angeles is a tribute to the Los Angeles of yore, which has about 250,000 followers on Facebook. Martino died from a heart attack on October 13, 2009, at his childhood home in Springfield, Pennsylvania, six days after his 82nd birthday. He was buried at Holy Cross Cemetery in Culver City, California. 2009 — inducted into the Hit Parade Hall of Fame. 1952 "Here in My Heart"
b/w "Say You'll Wait For Me"
b/w "There's Music In You"
"All I Want Is A Chance"
b/w "You Can't Go On Forever Breaking My Heart"
1955 "The Man From Laramie"
b/w "The Snowy, Snowy Mountains"
1956 "A Love To Call My Own"
b/w "The Girl I Left In Rome"
b/w "I'm A Funny Guy"
1958 "Here In My Heart"
1959 "I Can't Get You Out of My Heart"
b/w "In My Heart Of Hearts"
b/w "It's All Over But The Crying"
1961 "Little Boy, Little Girl"
b/w "The Memory Of You"
"Love, Where Are You Now (Toselli Serenade)"
1963 "I Love You Because"
1964 "My Side Of The Story"
"I Love You More and More Every Day"
1965 "My Heart Would Know"
"Think I'll Go Somewhere and Cry Myself To Sleep"
"More Than the Eye Can See"
"A Voice In the Choir"
"Wake Up To Me Gentle"
1969 "I Can't Help It"
1970 "Can't Help Falling in Love"
"True Love Is Greater Than Friendship"
1971 "Come Into My Life"
b/w "More Now Than Ever"
1975 "To the Door of the Sun (Alle Porte del Sole)"
1978 "The Next Hundred Years"
1981 "Look Around (You'll Find Me There)"
b/w "More Than Ever Now"
b/w "If I Should Love Again"
"What Your Love Did For Me"
b/w "Warm Is When You Touch Me"
A "Spanish Eyes" reached #5 in the UK on re-issue in 1973. B "I Started Loving You Again" also peaked at #69 on Hot Country Songs. ^ a b c d e f g h Huey, Steve. "Al Martino Biography". AllMusic. All Media Network. Retrieved 26 April 2015. ^ a b Velez, A.E. (14 October 2009). "Al Martino, Singer of Pop Ballads, Is Dead at 82". The New York Times. p. B14. ^ "Al Martino". Telegraph. Retrieved 2015-08-17. ^ "Jubilee Records Advertisement". Billboard. April 25, 1953. p. 71. Retrieved 17 April 2013. ^ "Popular Record Reviews". Billboard. April 14, 1951. Retrieved 17 April 2013. ^ Whitburn, Joel (2003). Top Pop Singles 1955–2002 (1st ed.). Wisconsin, USA: Record Research Inc. p. 446. ISBN 0-89820-155-1. ^ Murrells, Joseph (1978). The Book of Golden Discs (2nd ed.). London: Barrie and Jenkins Ltd. p. 61. ISBN 0-214-20512-6. ^ Rice, Jo (1982). The Guinness Book of 500 Number One Hits (1st ed.). Enfield, Middlesex: Guinness Superlatives Ltd. p. 7. ISBN 0-85112-250-7. ^ a b c d Roberts, David (2006). British Hit Singles & Albums (19th ed.). London: Guinness World Records Limited. p. 352. ISBN 1-904994-10-5. ^ Callahan, Mike; Edwards, David; Eyries, Patrice (February 8, 2006). "20th Century Fox Album Discography, Part 1". Retrieved March 26, 2011. ^ Murrells, Joseph (1978). The Book of Golden Discs (2nd ed.). London: Barrie and Jenkins Ltd. p. 194. ISBN 0-214-20512-6. ^ "Al Martino Obituary". The Daily Telegraph. 14 October 2009. ^ "German Single Charts (Dieter Bohlen)". Archived from the original on 2009-10-25. ^ "Al Martino, Singer of Pop Ballads, Is Dead at 82". New York Times. ^ a b Stevie St. John (2 April 2014). "With 'Vintage Los Angeles,' Every Day is 'Throwback Thursday' for Alison Martino". Retrieved 5 July 2016. ^ "ALISON MARTINO ARTICLE LISTING". Retrieved 5 July 2016. ^ "THE GODMOTHER Alison Martino is the Guardian of the History of Old Hollywood and the Sunset Strip". Archived from the original on 2 July 2016. Retrieved 5 July 2016. ^ "Al Martino". Hit Parade Hall of Fame. Archived from the original on 7 October 2014. Retrieved 26 April 2015. ^ a b "Al Martino | Awards". AllMusic. Retrieved 2015-08-17. ^ "Cashbox Archives". Cashbox. ISSN 0008-7289. Archived from the original on 2017-06-11. Retrieved 2015-04-27.